Steve Hoefer’s Hand Lights | Abler. 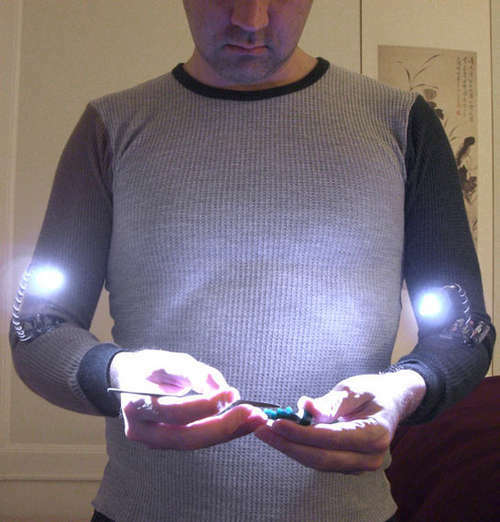 Steve Hoefer, at Grathio Labs, created these DIY hand lights. Obvious applications for those with low vision, but also to any of us observing and manipulating the world’s minutiae. Here’s the video how-to at Instructables. via Kevin at Cool Tools.